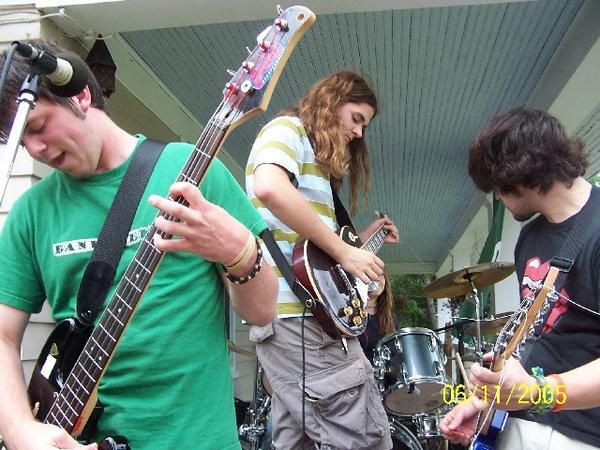 My Apology was one of the original GTG bands (along with The Plurals and Drinking Mercury) and was formed after the 2004 break-up of a pop-punk band called 2 Minute Nothing that featured singer/bassist/songwriter Seth Higbee and (at different times) guitarists Timmy Rodriguez and Tommy McCord. Seth asked Timmy to start a new band with him in 2005 and they were quickly joined by Tommy on guitar and Hattie Danby on drums. The band played its brand of emo-influenced pop-rock around Michigan throughout 2005, did a summer midwest tour with The Plurals, and released the EP Dream in Past Tense in the summer of 2005. After failed sessions to record an album in late 2005 the band essentially dissolved with Timmy forming The Break-Ups with Tommy and Hattie. The band never officially disbanded though and has played the occasional live show since – and the GTG006 catalog number is still reserved for their album.